The announcement was made on May 18, Global Accessibility Awareness Day, during a panel discussion at the Blusson Spinal Cord Centre on improving accessible technology for Canadians with disabilities. 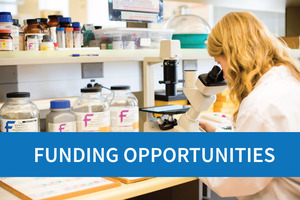 The Honourable Navdeep Bains, Minister of Innovation, Science and Economic Development, and the Honourable Kirsty Duncan, Minister of Science and Minister of Sport and Persons with Disabilities highlighted Budget 2018 funding of $23.6 million to support the Institute's efforts to achieve breakthroughs in spinal cord injury research and care. The ministers also announced more than $3 million in funding for the Neil Squire Society. The panel also included the Institute's Bill Barrable, Neil Squire Society's Dr. Gary Birch and ICORD researcher Dr. Jaimie Borisoff. Read a recap of the panel discussion. The national Rick Hansen SCI Registry provides a baseline for the collection of critical data in Alberta. RHI and its research partners author a special focus issue based on research that examines the patient's journey through the health care system. In 2017, The Ottawa Hospital successfully achieved accreditation according to Accreditation Canada's SCI Standards (developed in partnership with RHI). Also in 2017, Queen Elizabeth II Health Sciences Centre (Halifax Infirmary and Nova Scotia Rehabilitation Centre) successfully re-accredited – a process which occurs every four years. The ISNCSCI Algorithm is a user-friendly, computerized application that captures ISNCSCI exam information. ISNCSCI is the gold standard for determining neurological impairment after SCI. Check out SCIRE Community's latest information on expert-reviewed scientific evidence on spinal cord injury (without the scientific jargon). ​For reviews written in academic language, visit SCIRE Professional. FREE WEBINAR: “Use of the Mini-BESTest to evaluate postural control in the clinic”will take place on June 14 from 12-1pm EST. The webinar is available to anyone interested in learning more about this outcome measure. The webinar is presented by the Rick Hansen Institute Canadian Standing and Walking Assessment Tool (SWAT) Project Team and the Neurosciences Division of the Canadian Physiotherapy Association. Click here for the webinar link. Do you have an update about your RHI-supported project or initiative? Share it with us! Email . The Province of BC proclaimed May 28 "Rick Hansen Day" in honour and recognition of Rick's contributions to the province and country, marking the start of the province's first AccessAbility Week. The province also announced a $10 million grant to Institute partner, the Rick Hansen Foundation, to focus on their inclusive and accessible community initiatives. Falls, sports, and vehicle accidents are the leading causes of traumatic injuries among the 161 people covered by the New Zealand Spinal Cord Injury Registry’s (NZSCIR) first annual report. Degenerative disorders, infections and auto-immune diseases were the most common causes of non-traumatic injuries. Modeled after RHSCIR, NZSCIR launched in 2016 and captures experiences of New Zealanders who have sustained a traumatic or non-traumatic SCI in order to help facilitate the translation of research into clinical practice and promote evidence-based practices. RHI supported the establishment of the Registry and contributed to its annual report. Read the report here. On April 18-19, RHI funded and participated in the Atlantic Canada SCI Summit, organized by Dr. Colleen O'Connell, Research Chief at the Stan Cassidy Centre for Rehabilitation. The purpose of this two-day meeting was to begin development on a 5-year action plan to improve SCI treatment in the Atlantic provinces. These areas have unique challenges such as an aging and rural population, with many individuals residing long distances from acute and rehab facilities. Over 45 participants, including researchers, acute and rehab clinicians, individuals with SCI, consumer organizations, foundations and universities representing each of the four provinces that make up Atlantic Canada attended the summit. Actionable Nuggets are evidence-based electronic "postcards" for family physicians that address the 20 most important health problems faced by their patients with SCI. The Nuggets are accredited for 10 Mainpro M1 credits. Now in its third edition, the first edition was developed in partnership with RHI. Help get this important information into the hands of family doctors! Learn more at www.actionnuggets.ca. On May 29, MEMO-QC hosted a Café Scientifique on pressure injuries in Montreal. As RHI has embarked on its own community-acquired pressure injury prevention initiative in BC, RHI sponsored this multi-stakeholder event that included consumers, clinicians and researchers working together to identify challenges and solutions to reducing the incidence and severity of pressure injuries for people with SCI living in Quebec. RHI is currently undergoing an independent review of its initiatives supported by the Government of Canada through Western Economic Diversification for the funding period from 2013-2018. Fill out this brief survey! 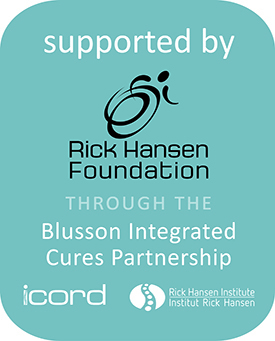 The Rick Hansen Institute is a Canadian-based not-for-profit organization that drives innovation in spinal cord injury research and care. By facilitating an international network of researchers, healthcare professionals, entrepreneurs, investors, people with SCI and their supporters, we strive to improve the lives of people living with SCI in Canada and around the world. The Rick Hansen Institute is proudly accredited by Imagine Canada.